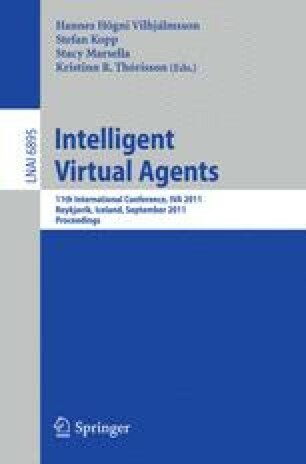 Employing agent technology for virtual character behavior in games and simulations enforces a distributed IVA design where the agent is part of the cognitive layer, situated in a multi-agent system, and its embodiment makes up the physical layer, situated in a game engine. Creating the mind-body connection is not straightforward since one has to bridge the conceptual gap present between agent and game engine technology. In this paper we present key conceptual design issues that have to be tackled within this connection in order to ensure an IVA’s ability to express certain aspects of natural behavior in real-time.